Piccadilly Lane’s Fall Open House is this Saturday, September 15 from 9 – 4. 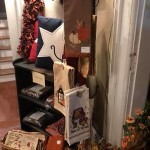 Come in to shop and see the new fall delights! 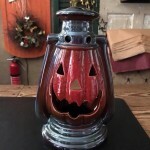 Check out the Honey and Me items, wreathes, candles in fall scents and more for autumn! Plus, discounts hidden in pumpkins! 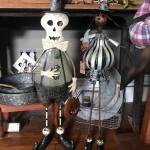 The Piccadilly ladies have decorated the store in every room and wall with ghoulish delights to charm your treat-or-treaters and be the envy of your friends and neighbors! Come peek in the nooks and crannies of Piccadilly corners if you dare! The holidays are right around the corner! Shop now to brighten up your home with a new look or pick out that perfect gift for your loved one! Piccadilly Lane has an array of new fall and holiday items arriving, including snowmen, beautiful wreaths, furniture, new Park curtains, placemats, delightful scented candles, Amish iron, shower curtains, soaps, bath prints and more! Redoing a room? Let us help you redecorate! We have curtain swatches for special order – bring us your paint samples or fabric swatches and we will help you match them! Call to make an appointment for or visit the store. 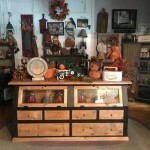 At Piccadilly – all rooms upstairs and down are overflowing with new one of a kind merchandise including framed prints, furniture, linens, rugs, soy candles, cards, jewelry, swags, garlands, tinware, signs, pottery, curtains and many more distinctive items to adorn every room in your home or office. Take the short drive to 2643 Main Street in Whitney Point to beautify your living space and/or start your holiday shopping early! Questions or looking for something special – 607-692-7418 or email piccadillylane1@aol.com Like them on facebook and watch for specials and extended holiday hours etc.